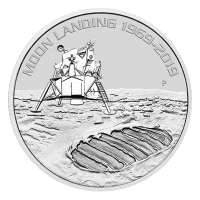 This beautiful proof coin is an Early Release and is made from one troy ounce of 9999 pure silver and comes sealed in an NGC coin holder and is a PF69 graded numismatic! 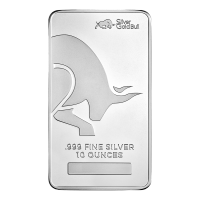 This coin makes a great addition to any collection of prehistoric animals or silver coins. 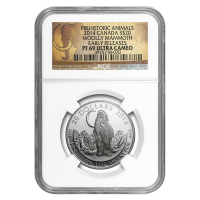 1 oz 2014 Woolly Mammoth NGC PF-69 (ER) Silver Coin The Woolly Mammoth is the first coin in the Prehistoric Animal series by the Royal Canadian Mint. This coin features the massive Woolly Mammoth (Mammuthus primigenius) in a depiction that showcases the colossal size of these giants of the Ice Age. Despite having gone extinct 10,000 years ago, the woolly mammoth continues to intrigue many and is virtually synonymous with the Ice Age. The Mammoths once roamed an area that stretched from Northern Europe all the way to Eastern Canada, likely connected by an ice bridge. The Mammoth was similar to the modern elephant, but with smaller ears and tail, likely to help it keep it warm and a large fat hump and thick fur. 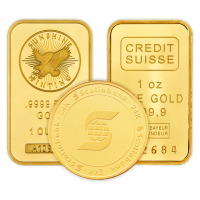 The obverse of the coin features the Susanna Blunt effigy of Queen Elizabeth II and the words "Elizabeth II Canada D.G. Regina". 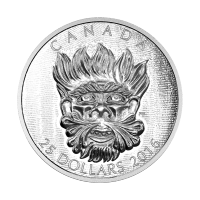 The reverse features a scientifically accurate depiction of a woolly mammoth that has been verified by paleontologists from the Royal Tyrrell Museum. The front of the mammoth is viewed with its head raised, crowned by the iconic large, curved tusks for which the mammoth is famous. The thick, coarse fur that enabled the mammoth to survive the winter is shorter here to reflect moulting that scientists believe occurred in the summertime. The extra hump of fat that sat on the mammoth's shoulders is visible here and in the background can be seen the rolling hills and low grasses that typify the mammoth's habitat. 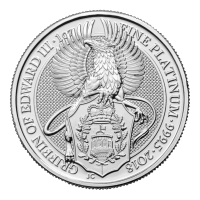 This depiction is surrounded by the words "20 Dollars 2014 9999 Fine Silver 1 oz Argent Pur" and the artist's initials. This beautiful proof coin is an Early Release and is made from one troy ounce of 9999 pure silver and comes sealed in an NGC coin holder and is a PF69 graded numismatic! 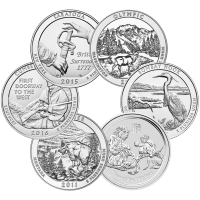 This coin makes a great addition to any collection of prehistoric animals or silver coins.